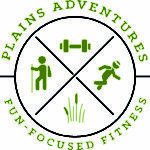 Plains Adventures, an adventurous approach to fitness and fun, this fitness center was opened in January of 2016. Mission is to offer a place of affordable fitness access on your own time, anytime, for the benefit of a healthy community. Located across the street from the Sherwood Inn, guests have access to this facility 24 hours for a minimal fee of $5.00/use. Equipment includes treadmills, elliptical, recumbent bicycles, weight and ab bench, leg press, dumbbells, and so much more. Contact Karla Aus at 406-765-8333 for more information. Robin Hood/Fryer Tuck’s, located directly behind the Sherwood Inn, is a convenient amenity for our guests as they will find this establishment only a few feet from the exit. Currently being renovated in 2018. This bar and lounge will serve you anything from steaks and hamburgers to an ice, cold beer or cocktail. Contact the Robin Hood at 406-765-1153 for more information. Maid Marian’s provides guests the chance to be pampered after long travels. It offers haircuts, color, acrylic nails, pedicures and much more. Contact Tandi Vannatta at 460-765-2101 for more information. Customer Laundry Facilities: Both the Sherwood Inn and Plains Extended Stay Suites offer coin operated laundry facilities with coin-operated laundry soap and dryer sheets.